These photos were taken during a brief visit in 1997 to try and locate where my maternal grandfather's ancestors had lived at the turn of the nineteenth century. Unfortunately, because of limited time and population changes during the past century, little ancestral information was available. All I had to locate the village was an old faded map we found at a Suwalki, Poland museum by a curator who kindly searched and located it. To the left is the main road approaching the village of Hołynka. Notice the horse-drawn hay wagon on the road. There were no motorized vehicles in the village of Hołynka and our van seemed out of place in such a tranquil and undisturbed location. Of the few villagers we did see outside, the majority appeared to be in their older years. And even though I had a Russian speaking translator with me, the villagers were aloof and not helpful with sharing information. Unfortunately the map we had did not show the location of the Jewish shtetl or other areas of interest. We were so close (500 meters), yet so far. After a few hours exploring, we had to leave to catch a flight in Warsaw. 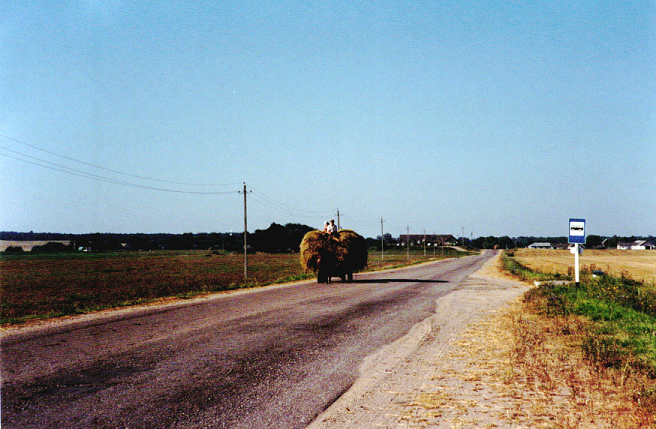 Transportation around Hołynka was primarily walking, bicycle, or by horse. The village buildings were built in the 1700 and 1800's. The only modern improvements appeared to be paved roads and electricity. Some houses did have television antennas on roofs. Thanks to the internet, I have been discovering more history about Hołynka and the surrounding areas. The internet has helped fill in some of the missing historical pieces. From the aerial maps, there appears to be about 50-75 houses in the current village of Hołynka. 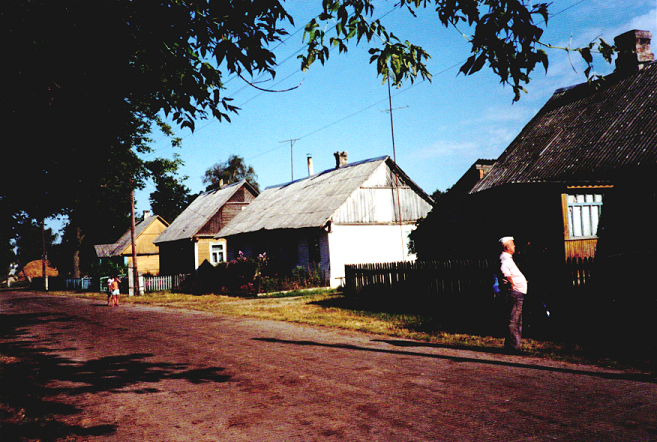 of the village was the border between the current countries of Belarus and Poland. The tree line in the background marks the border between Belarus and Poland. There currently is no nearby road passage between the two countries even though pre-WWII roads connected all the surrounding villages. The closest border town crossing is Kuznica on highway M6 & 19 that goes between Grodno and Bialystok, Poland. 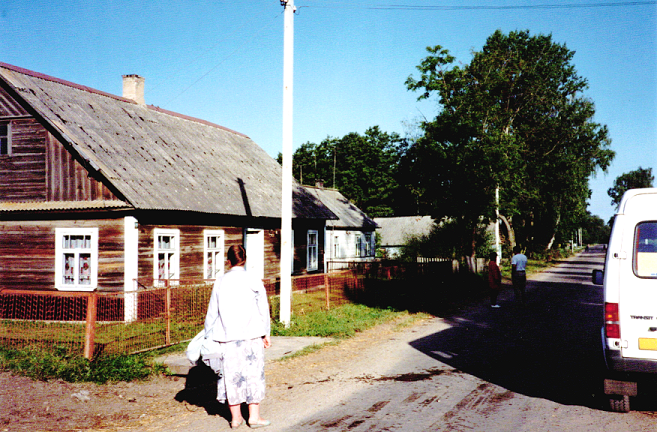 Crossing the Polish-Belarus border in 1997 took many hours.